Lead in drinking water has been a topic of national and local discussion this year, beginning with the crisis in Flint, MI and sparking awareness and concern in communities across the country. 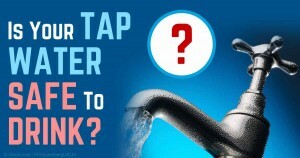 In response to questions about the quality of drinking water in NYC, we have created a lead resource page with answers to frequently asked questions, tips to reduce lead exposure, and links to further information. We encourage you to share this page within your networks. This entry was posted in Feature of the Month on April 16, 2016 by mountsinaitceee.